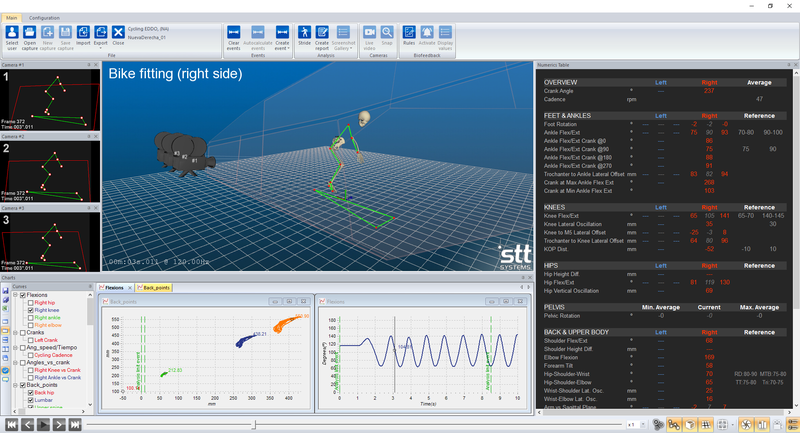 The EDDO BikeFit system from STT offers a comprehensive analysis of one side of a cyclist.. Place the markers, record your captures, and run your analysis. Automatic tracking and reporting give you the results you need - Fast. When a system is delivered, it is ready to be setup. Simple instructions for camera placement, cable connections and software setup are included. Also, your license is unlocked permanently - no sneaky annual fees with EDDO BikeFit! 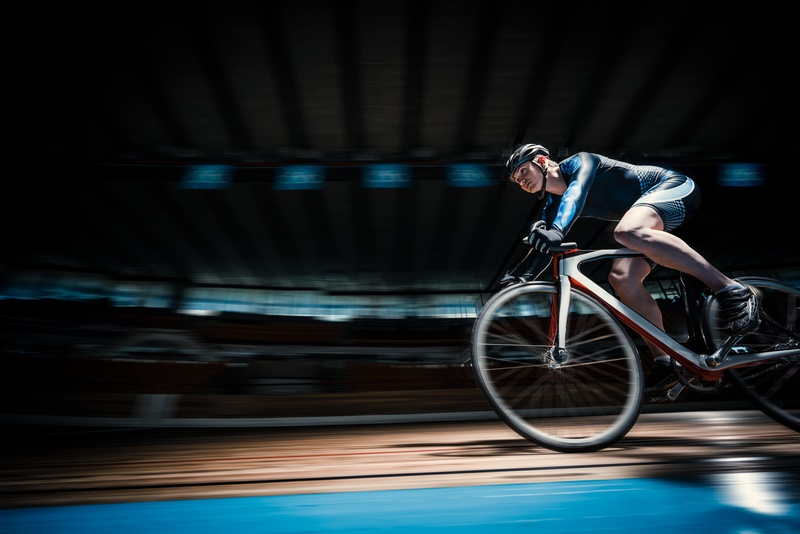 EDDO BikeFit features a simple interface automatically capturing the necessary marker positions, rotations, and velocities in order to analyze one side of a cyclist's form and mechanics. 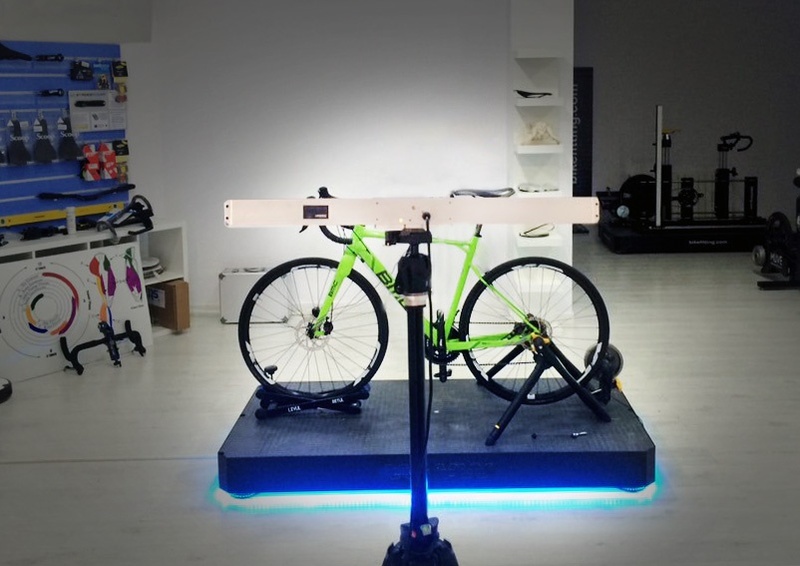 Like STT's video BikeFit system, EDDO BikeFit is perfect for facilities with limited space or for multi-use environments. 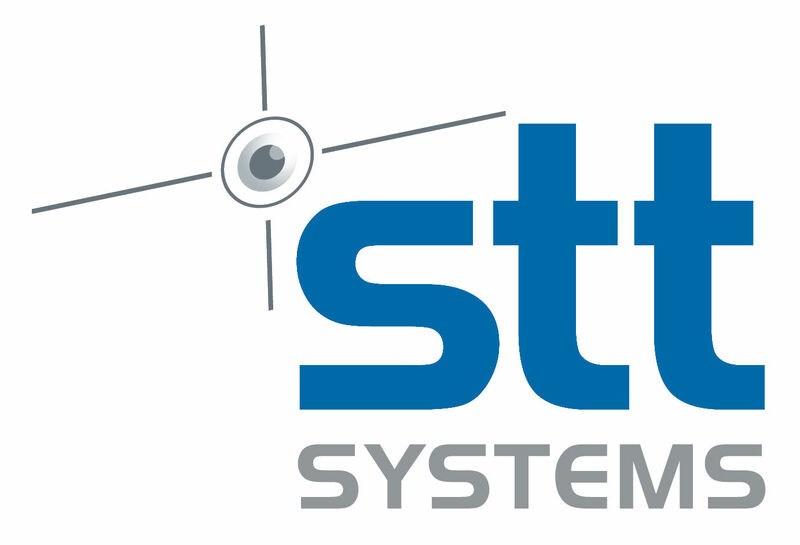 Through the use of STT's automatic tracking algorithms, the system is able to collect multiple pedaling cycles and collect all data with limited input from the user. 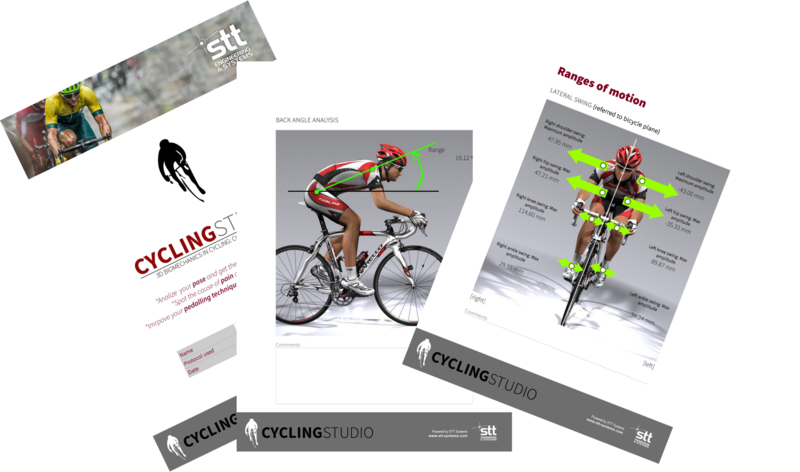 Setting up a capture is as easy as placing the markers and clicking start - all the data is then presented to you, and you can move through your analysis and make suggestions or adjustments for improvement in form, mechanics, or bike configuration. 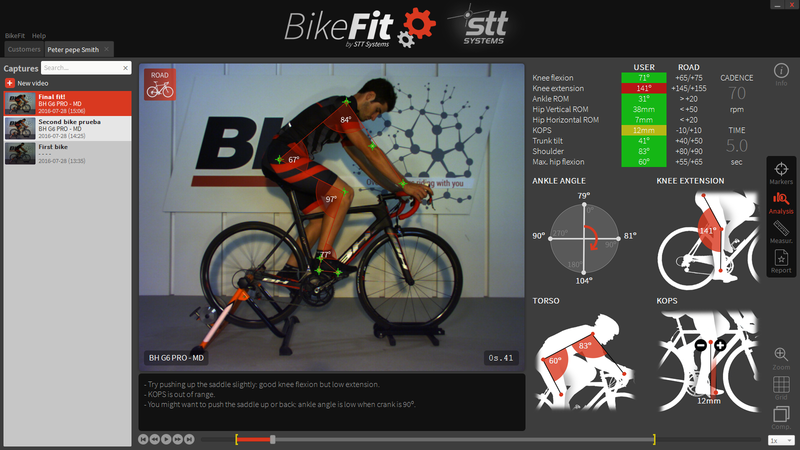 EDDO BikeFit offers the most user friendly and comprehensive automatic bikefitting solution for analysts of all levels. Gone are the days of low frequency measurements and time consuming manual analysis. Let EDDO BikeFit do the work for you, while simultaneously collecting some of the most advanced 3D cycling data available.